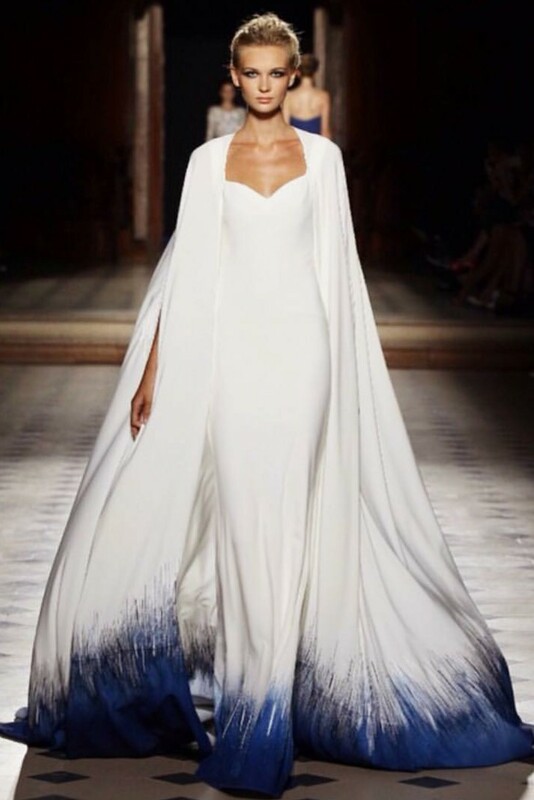 I’m in love with this blue ombre super hero bride cape gown from Tony Ward! This beauty was revealed during Paris’ Haute Couture Fashion Week, which took place from July 5-10. Are you fangirling with me? There isn’t a lot of information available on this dress since it was just unveiled. However, if you need more information, I highly encourage you to contact the powers that be at Tony Ward.